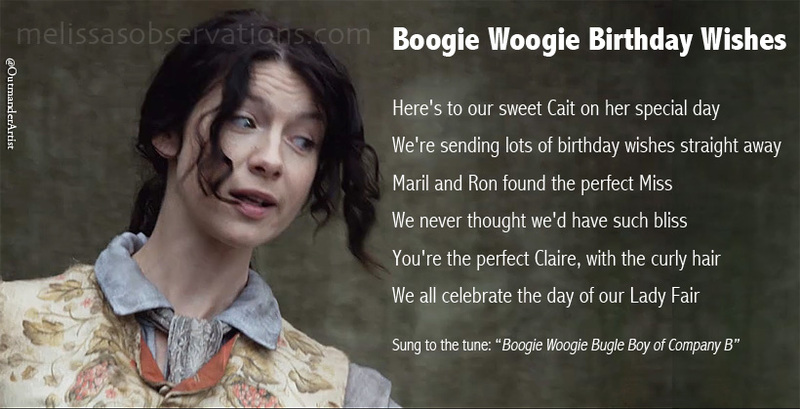 Sending special Birthday Wishes to Caitriona Balfe, nobody could’ve been a better Claire! Song sung by Little ‘Ol Me! Excellent lyrics and voice! Thank you for wishing our beloved actress a musical birthday wish! Thanks Connie, the check’s in the mail my friend! Dayum! She sings too! We’re not worthy! Lol Norma…you crack me up! ??? That was fabulous!!!!! Thank you for sharing it! I am impressed. XO Melissa. You rock! Thank you Glory, I’m grateful nobody threw rotten eggs at me like poor Murtagh!